​My Chauffeur Wine Tours Ballooning Package is more than just a tour, it's a wine country experience. You will enjoy the wine country from the air and ground for an unforgettable day + a full brunch at the end of your flight. 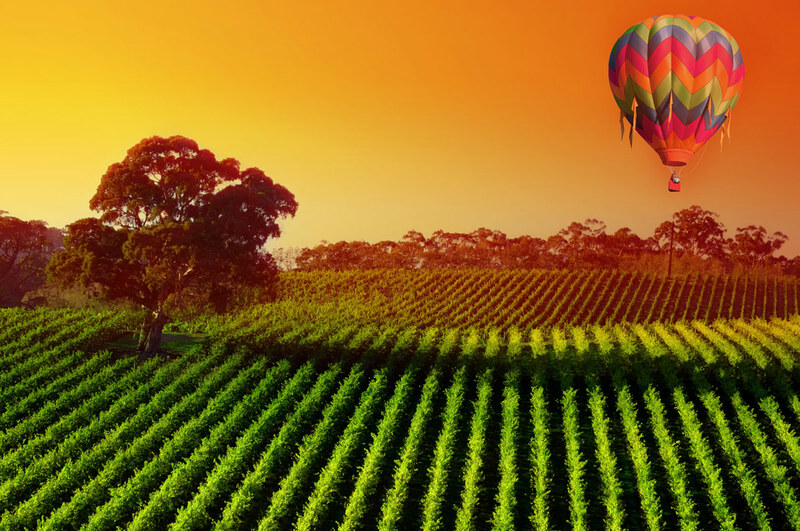 Now you can see (and taste) wine country from a whole different perspective with our Ballooning Package-a complete, elegant and hands-on ballooning experience! Your personal concierge will take care of all the package details. Vista Balloon Adventures: Our regular wine tour rate + $199-$220 per person ($220 applies with 1-3 persons; $199 applies with 4-9 ppl. $189 each for 10+ ppl.). A private balloon ride for 2 is $625. Balloon Flying Service (Salem): Our regular wine tour rate + $225 per adult person, 1/2 fare ($112.50) for children 5/12. Military Discount is $20 off (adult fare) w/current active ID card in hand. Cost is for the balloon ride, brunch and a 4 hour private wine tour (10 hours total; usually about 3-4 winery visits). Shorter or longer tours are available. Winery tasting fees & lunches are additional cost. Inquire about engagement flights and weddings. Generally the arrival times at the site are typically between 5:15 & 6:30AM (see below). Your travel time to the site will determine your pickup time, but generally it's about 4:30-5:45am if you are in the Portland area. You may choose between an 8, 10 or 12 hour complete day, with 10 hours being the standard.